A second son, Aethelred was born to King Edgar and his wife Aelfthryth. 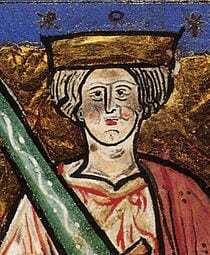 Aethelred also had an older half-brother, Edward. Aethelred’s elder brother, Edmund, died. Aethelred’s father, King Edgar and his wife Aelfthryth were crowned at Bath by Dunstan, Archbishop of Canterbury. This second coronation was held at this point in his reign because it was felt that he had reached the zenith of his Kingship. Aethelred’s father, Edgar, received the submission of eight kings of the North, including the Kings of Scotland and Strathclyde at Chester thus strengthening his position. Aethelred’s father, Edgar died at Winchester. He was succeeded by his son from his first marriage, Edward. Aethelred’s stepbrother, Edward, was crowned by Archbishop Dunstan at Kingston upon Thames. Aethelred’s mother was unhappy that Edward had become King and believed that Aethelred should have been made King. Aethelred’s mother and her faction continued to work against Edward. King Edward was murdered at Corfe Castle, when he was visiting his stepmother, Aelfthryth, by assassins acting on her behalf. Aethelred was proclaimed King. Aethelred was crowned at Kingston upon Thames. Because he was still a child, his mother, Aelfthryth, acted as regent for her son. There were Danish Viking raids on Chester and Southampton. There were Danish Viking raids on Devon and Cornwall. There were Danish Viking raids on Dorset. Aethelred came of age and took control of government. He chose a new set of younger advisors. A son, Cnut, was born to the Viking leader Sweyn Forkbeard. A son, Aethelstan, was born to Aethelred and Aelfgifu. A son, Ecgbert, was born to Aethelred and Aelfgifu. Dunstan, Archbishop of Canterbury, died. Battle of Maldon – Byrhtnoth of Essex was defeated by the Danish Vikings led by Olaf Tryggvason. Following the Viking victory at Maldon Aethelred was forced to pay the Vikings £10,000 pounds (3.3 kg of silver) to make them leave Wessex alone. The payment was known as a Danegeld. A daughter, Eadgyth, was born to Aethelred and Aelfgifu. A daughter, Aelfgifu, was born to Aethelred and Aelfgifu. A son, Eadred, was born to Aethelred and Aelfgifu. A son, Eadwig, was born to Aethelred and Aelfgifu. A daughter, Wulfthryth, was born to Aethelred and Aelfgifu. A son, Edgar, was born to Aethelred and Aelfgifu. The Vikings left England. Aethelred began a series of raids on Strathclyde and the Isle of Man. The Danish Vikings made a series of raids along the South coast. St Brice’s Day Massacre – Aethelred ordered the massacre of all Danes living in England. He hoped that by ridding England of Danes he would minimise the risk of attack from within. A significant number of Danes were killed including the sister of Sweyn Forkbeard. Aethelred had no choice but to pay the Danes to leave his land alone. The Danegled demanded was £24,000 (8kg of silver). Aethelred married Emma the daughter of Richard, Duke of Normandy. 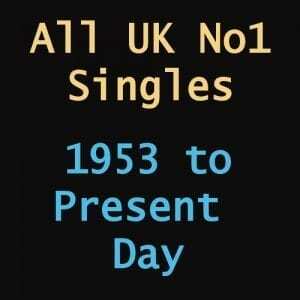 The marriage was part of an alliance treaty with Normandy. Aethelred’s mother, Aelfthryth died at Wherwell Abbey. A son, Edward, was born to Aethelred and Emma at Islip, Oxfordshire. He would become known to history as Edward the Confessor. A son, Alfred, was born to Aethelred and Emma. Aelfric of Abingdon, Archbishop of Canterbury, died. He left his fleet of ships to the people of King. He also left his best ship to Aethelred. A daughter, Godgifu, was born to Aethelred and Emma. Aethelred appointed Aelheah Archbishop of Canterbury. Aethelred was unable to raise sufficient forces to defeat the Vikings and so was forced to make another Danegeld payment to keep the Vikings away. The sum demanded was £36,000 (12 kg of silver). Aethelred decided that he could not keep paying off the Danes and so decided to build a new fleet of ships. A group of Vikings led by Thorkell the Tall made a series of devastating raids on the coast. Aethelred was unable to defeat the Vikings using his new ships because his Captain, Wulfnoth had taken 20 boats on a piracy mission. Another Captain, Brihtric, who had tried to stop Wulfnoth had run several ships aground. Having conquered the majority of England Sweyn Forkbeard proclaimed himself King of England. Aethelred, Emma and their children fled to Normandy. Sweyn Forkbeard died. He nominated his son, Cnut to succeed him. Although the English nobles had accepted Sweyn as King they were not so keen to support his young son so called for Aethelred to return. The people of Lindsey declared their support for Cnut. Aethelred and his family returned to England. Aethelred made it clear that he was unhappy with the people of Lindsey for not supporting him. Eadric of Mercia killed the two leading thegns of Lindsey in retaliation for their supporting Cnut. 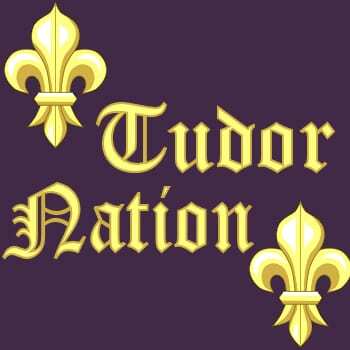 Determined to claim the English throne, Cnut invaded England with a large Danish force. Aethelred’s son Edmund, nicknamed Ironside, married Edith one of the murdered thegns from Lindsey. Edmund Ironside raised an army against his father. He was supported by the five towns of Danish Mercia – Derby, Leicester, Lincoln, Nottingham and Stamford. Cnut began attacking more regions of England. Edmund Ironside summoned an army but the men refused to fight without authorisation from Aethelred. Aethelred summoned an army but was warned that his son may betray him and returned to London. Edmund Ironside marched to London to try to stop Cnut from taking the city. Aethelred died. He was succeeded by his son, Edmund Ironside as King Edmund II.